The Export Tools for ArcGIS facilitate the export of (selected) features to files with KML and GeoJSON format. 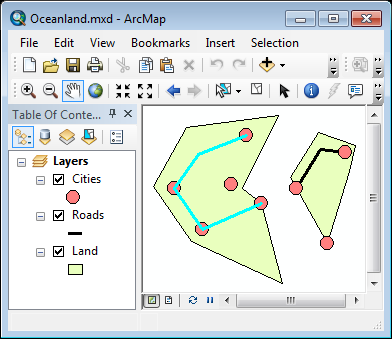 With this toolbox in ArcMap or ArcCatalog, any point, polyline, or polygon dataset, in any defined projection, can be exported to a KML or GeoJSON file. The user has to provide the input features, the output file and the geographic transformation method. Also a number of options can be chosen.Try this tool. 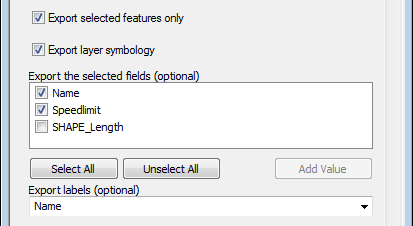 One of the most important options is the ability to Export selected fields and Export selected features. In the tool window background processing is checked. If background processing is enabled an error will be shown with a hint to disable background processing. When no attributes are exported in GeoJSON, now "properties" = null will be exported to comply with the GeoJSON standard. New in this version an example is installed for an easy getting started with the tool. Extended information in the manual on getting started with the tool. 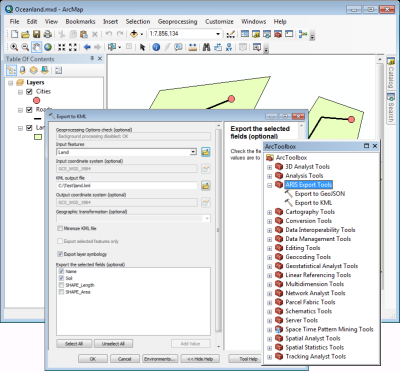 Disable Background Processing in ArcMap Geoprocessing Options otherwise the tool will not work. Additional extensions like Data Interop are not required. Please contact us if you have any other questions about the ARIS Export Tools. Interested? You can download an almost fully functional version, with 5-day trial license for a specific ArcGIS version by clicking on the "Download setup" link or view the User´s Manual in the table below. While in evaluation mode, only features with a limited number of coordinate pairs can be exported. The export of feature classes or selected features containing more than the maximum number of coordinate pairs will be canceled while in trial mode.